•Adjusted the center point of some sniper scopes. •Fixed a rare crash issue when switching profiles for guest users. •Fixed a rare crash issue when using camos on a weapon. •Fixed the sound of the SAC3 with the Suppressor Attachment to not play in stereo to all players on the map. •Various matchmaking and connectivity improvements. •Fixed issue where announcer’s voice ignores the in-game option to disable it. •Fixed a rare issue when the Riot Shield would not be selected when changing classes. •Various adjustments to the Riot Shield; including model popping up at random, mantling onto, jumping off from, and interaction with grenades. •Fixed an exploit of rapidly firing a bolt action gun while sprinting. •Adjusted the time limit expiration for Red Baron gear after challenge has been completed. •Added security updates and features. •Fixed a rare issue when Supply Drops would not open. •Adjusted UI of Exo Abilities descriptions for better readability. •Fixed an issue where the default player was not always being displayed properly in the Virtual Lobby. 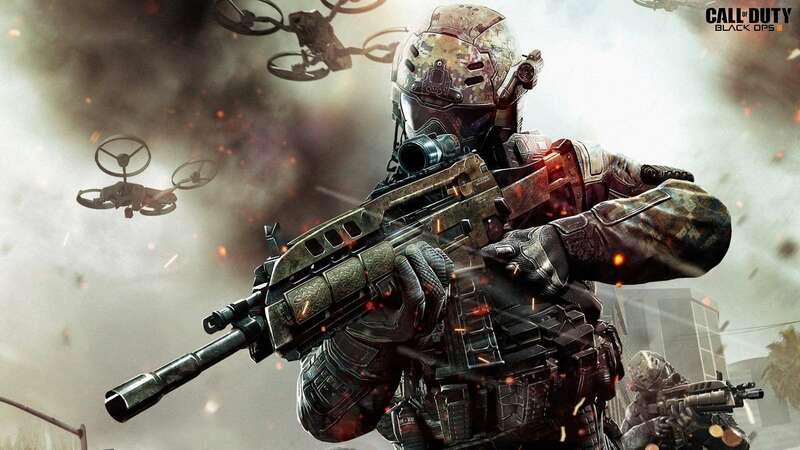 •Fixed a rare issue where the player is unable to sign into their Call of Duty account if connection is interrupted. •Added confirmation window when kicking a member from a clan. •Fixed a rare issue where Clan Wars Bonus XP was not being awarded. •Fixed an issue where clan members could see your presence even if you were set to appear offline. •Fixed various issues with players not having access to the AE4 with the Season Pass. •Fixed an issue where an item was not being marked “Purchased” in the in-game store after installing. •Improvements to the in-game Store UI and purchasing. •Game will no longer prompt a player to install Atlas Gorge if they already have it. •Fixed a rare issue with emblems on a second profile that’s signed in a guest. •Removed skull HUD element from System Hack Scorestreak UI effect. •Adjusted the score value the System Hack Scorestreak. •Adjusted the view of the XS1 Vulcan Killcam. •Fixed a rare occurrence of the Goliath Drop Pod getting stuck after colliding with an air-based Scorestreak. •Fixed a rare occurrence of the Orbital Care Package getting stuck after colliding with an air-based Scorestreak. •Fixed a rare issue where a player could become “invisible” when calling in a Scorestreak. •Fixed a rare issue where a players HUD would become blurry when using a co-op Scorestreak. •Adjusted Ranked Play restrictions to include Exo Stim and Exo Cloak. •Fixed an issue when quitting a match in a promotional game where it wouldn’t update correctly. •Fixed an issue where there was an excessive penalty if a player quits after playing several rounds in a multi-round match. •Added Ranked Play Division icons in-game to replace existing rank icons and text in scoreboard. •Adjusted various spawning logic for Capture the Flag game mode. •Adjusted various spawning logic for Momentum game mode. •Fixed issue where the CTF flag was unresponsive to players that were on top of the flag when it spawned. •Fixed an issue with the CTF flag not returning if a player was standing on top of the spawn point. •Addressed rare issue where CTF flag was not being returned immediately. •Fixed issues with planting the bomb after attempting to swap weapons in Search and Destroy. •Adjusted dynamic event timing in Search and Destroy & Search and Rescue. •Adjusted various spawning logic for Uplink game mode. •Uplink Satellite Drone now freezes when round timer ends. •Adjusted passing distance for the Uplink Satellite Drone. •Fixed an issue where going out of bounds on certain areas of the map would cause the Uplink Satellite’s physics to behave strangely upon reset. •Randomized loadouts to survivors in Infected. •Fixed an issue where players were able to exploit certain objects to go Out of Map. •Fixed various Out of Map exploits across different multiplayer maps. •Fixed an issue where the Uplink Satellite Drone could get stuck in blue barrier on the Detroit map. •Adjusted Warbird flight path on Atlas Gorge. •Updated various Exo Survival system mechanics and bugs. •Fixed problems caused by the player disconnecting the controller before the class selection menu pops up. •AI will no longer target a player while in the class selection menu. •Fixed various lighting in the Single Player campaign level, Captured. Good, j'ai bien hâte de voir cela ! En espérant que ça redonne la flamme à ce jeux, pour ma part je suis lassé mais je ne l'ai pas mit de côté encore, je suis prêt a lui donné encore des chances, avec cette patche et le map à venir. A-t'il une date de prévue ? Est-ce qu'elle est sortit la patch ? Alors, voyez vous un petit changement, coté connexion et tout les bugs qui rejoignais ce département lol ? Une game tu es Dieu et l'autre pas capable de tuer personne. Mais généralement c'est ok. Quand ça tu pas bin tu sorts. En pssant je suis rendu level 50 dernier prestige Yessss !!! Notre premier héro, je le nomme, DYE ! Donc si je comprend bien, c'est à peu près comme avant ! Alors je suis comme réticent face à ça !